National Trust parkland setting for William and Mary style country house venue (with 18th Century gardens) offering a visitor attraction option for a corporate conference or training course. Group visits must be pre-booked and we are unable to take group bookings for Bank Holidays or busy event days. Although groups can arrive anytime from 11am access to the house for groups is from 1pm onwards. An introductory talk can be requested to give an overview of the history of the house and family. 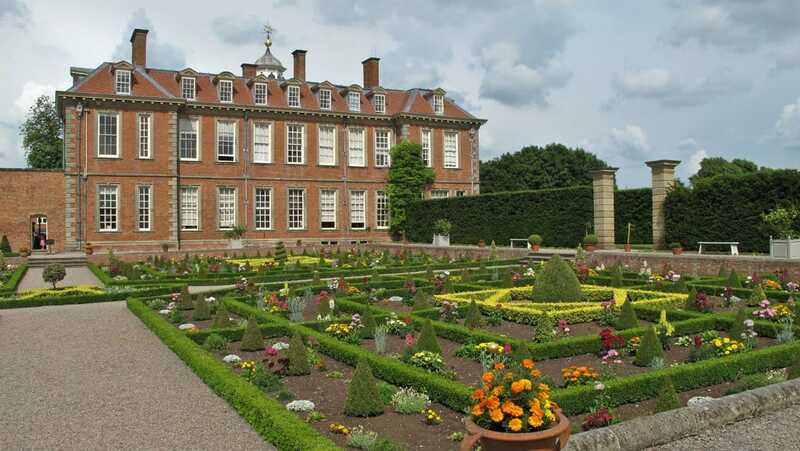 Hanbury Hall was completed in 1701 by Thomas Vernon and is a fine example of a William and Mary-style house which is surrounded by 20 acres of a stunning recreated George London garden and 400 acres of park. In the house, come and marvel at the magnificent wall paintings that were painted by Sir James Thornhill which this year have undergone huge restoration work and look amazing. Sit back and admire the beautiful interiors and then discover ‘Do money and beauty bring happiness’ as you explore the newly presented house (from April 2010). Keen to have an up to date and fashionable garden, Thomas employed the pre-eminent garden designer of the day, George London, to create such a garden which was to include all the elements associated with the formal style of gardening; a Parterre, Fruit Garden, Wilderness, Grove and Bowling Green. The garden remained as such until the 1770’s when it was swept away as the fashions changed from the very formal to the natural landscape style. In the mid 1990’s with help from generous bequests and a European Union grant, the garden was carefully restored using the distinguished surveyor James Dougherty’s 1731 – 1733 garden survey, the original plan, and archaeological work to confirm the garden design accuracy. 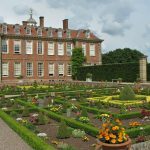 Today the gardens are truly spectacular; from the beautiful intricately laid out formal parterre, fruit garden and grove to the Bowling Green, a visit to Hanbury Hall’s garden is unforgettable. Facilities here include a children’s play area, tea-room, café, shop and children’s quizzes in the house and gardens. Events: We have an exciting and varied events programme including family activity days, outdoor theatre performances, art exhibitions and themed weekends – something for all the family! Please phone 01527 821214 for clarification on opening times and admission prices, as well as information on events. Set in the heart of historic Worcester, The Greyfriars is a stunning timber-framed merchant’s house where you can get away from the hustle and bustle. This unique house and garden was rescued by two extraordinary people with a vision to rescue this medieval gem and create a peaceful oasis. • Discover how The Greyfriars was saved from demolition. • See how the house has changed over the centuries. • Explore the delightful walled garden. 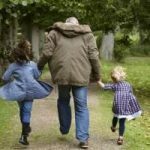 • Trails available for children every day.